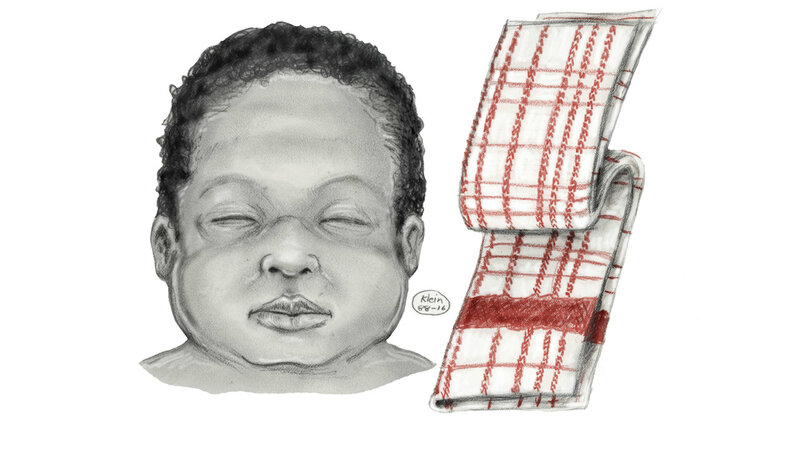 CROWN HEIGHTS, Brooklyn (WABC) -- In an effort to revive an over two-decade-old cold case homicide of a newborn, the NYPD released a new sketch of the baby on Tuesday that they hope will lead to new clues in the investigation. The infant girl was found on Monday, November 8th, 1993 in the Crown Heights section of Brooklyn. She was located at approximately 8:30 a.m. in the courtyard of 346 Montgomery Street inside a trash bag and with a dish towel tied around her neck.